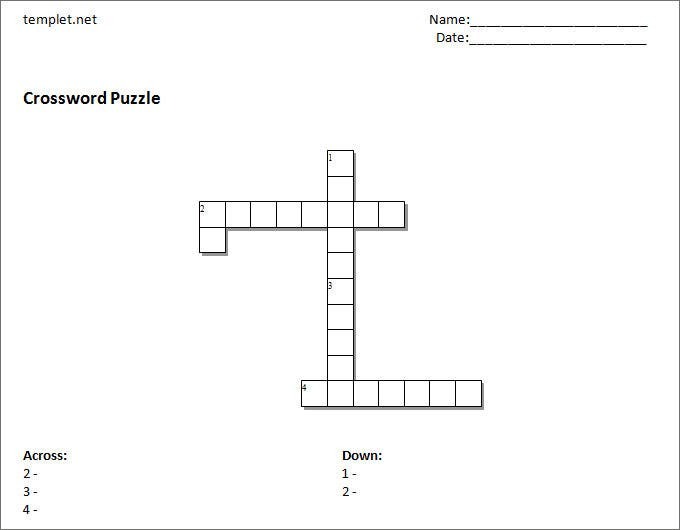 Here is a very easy to format blank crossword puzzle template that could help you generate your own puzzle in minutes. 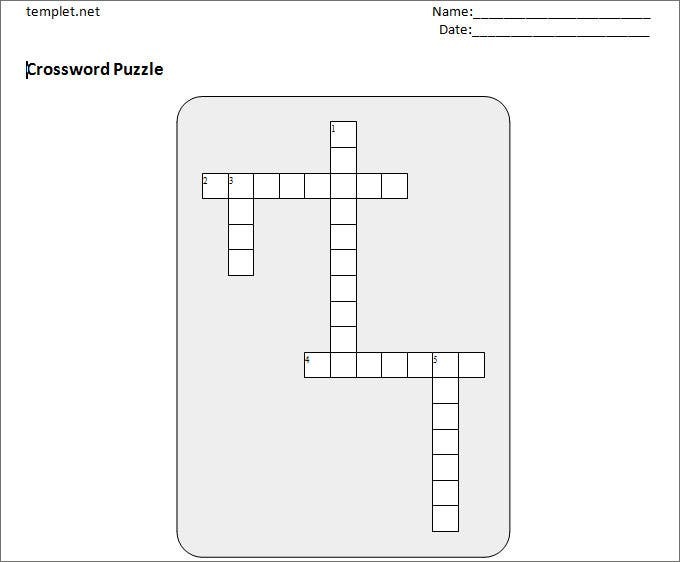 Just you have to put your words in the blanks and the hint and automatically you shall retrieve the set crossword puzzle ready to solve. This is as easy as a child’s play. 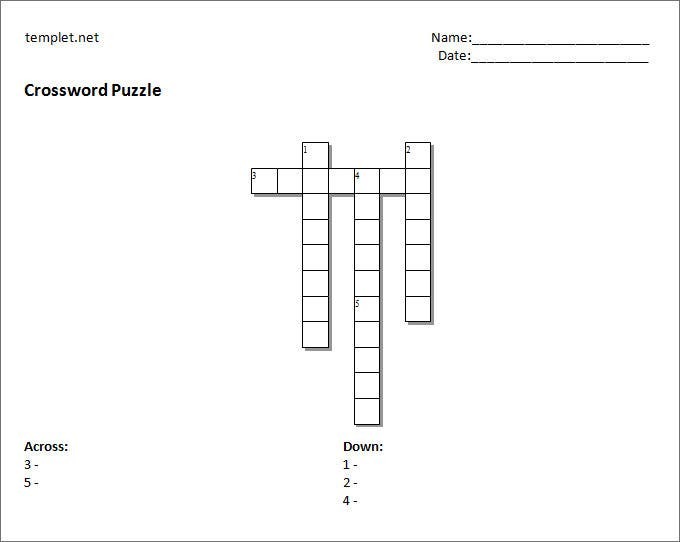 You can land up with a ready to solve puzzle in no time with the help of these kinds of templates. 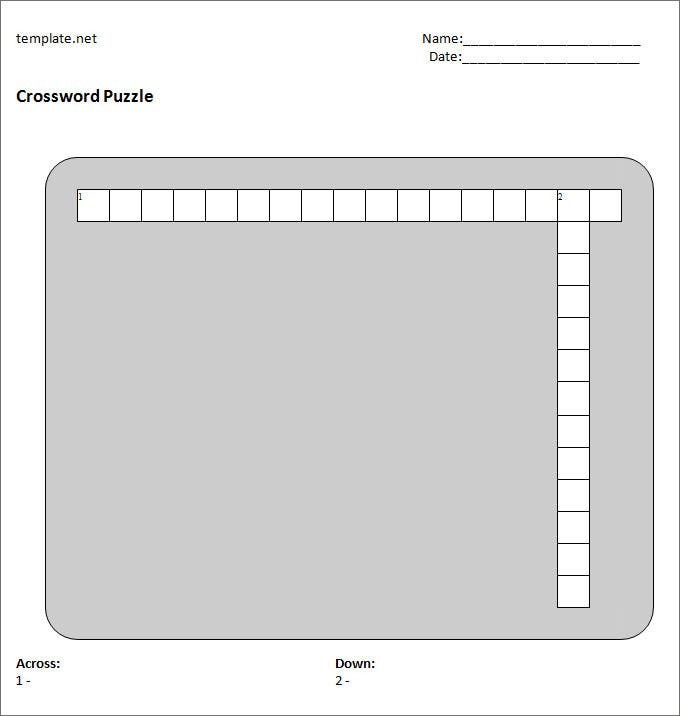 Brilliant starting points for creating your own puzzle, these templates provide you the blank crossword puzzle sheet which could be used as a base for your own piece of puzzle. 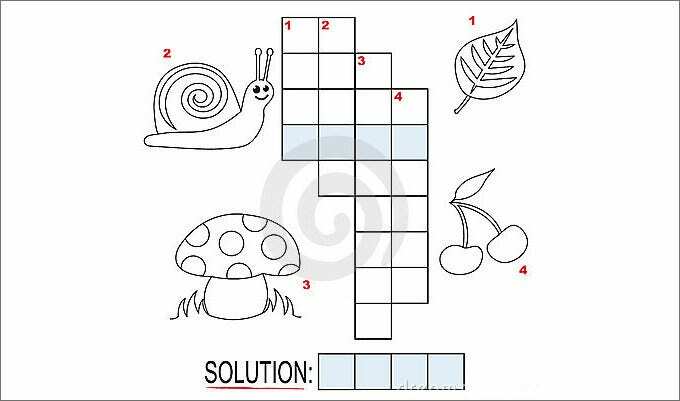 They come with the readymade grids for you to set the puzzle and towards the bottom there is the place for you to add the hint to solve it. Also available in small, medium and large sizes as per your choice, you just simply need to click and download these templates to create and print for solving. When you intend to do some work or plan out a detailed work plan then a blank logic model templates could be of great help. 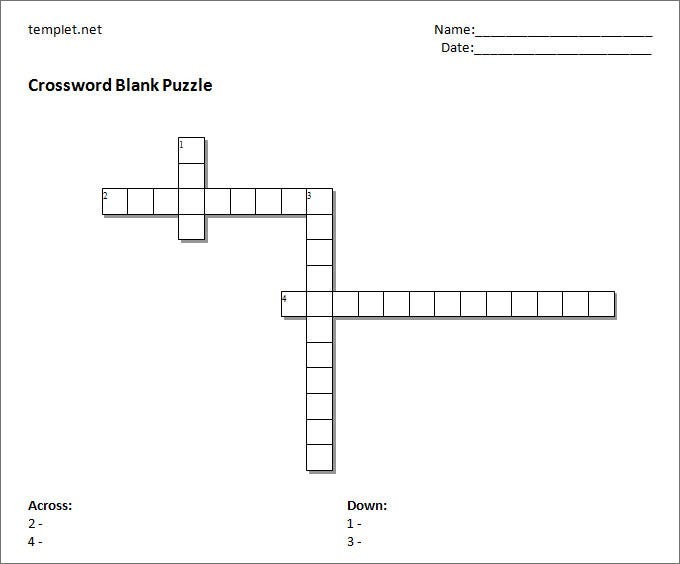 Here in this kind of blank crossword puzzle template you have the opportunity to mention your problem at the very beginning with the goal and long term outcome planning following the problem. You also have spaces in these templates to write about your rationales, activity group, resources involved and desired outputs as well. 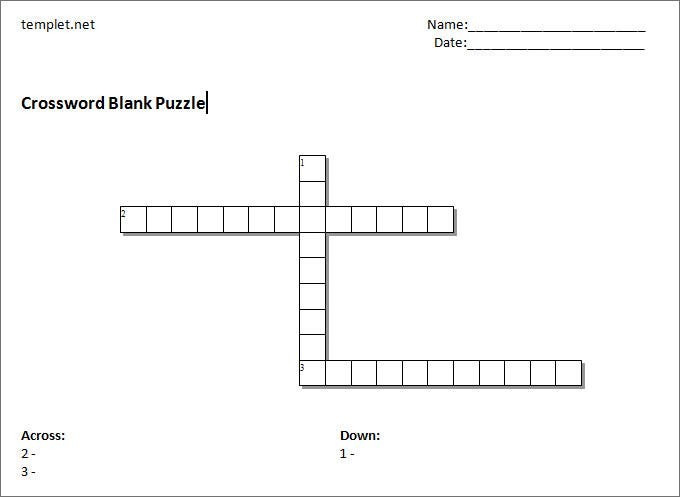 > What is a Blank Crossword Puzzle Template? 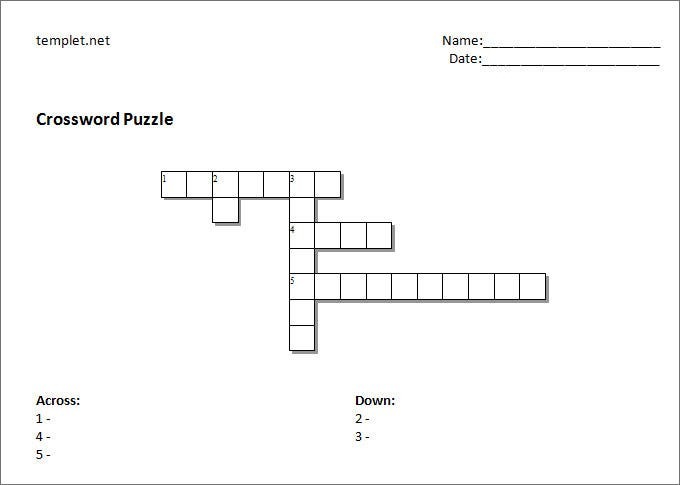 Often when you have completed solving crossword puzzles available in the newspapers and you need more to remain into the game there are ready to create structures with gridded lines and blanks separately designed to insert your puzzle words and hints. These templates may be in any format like PDF, PSD or word whichever is suitable download, entry your words and print it for your purpose. 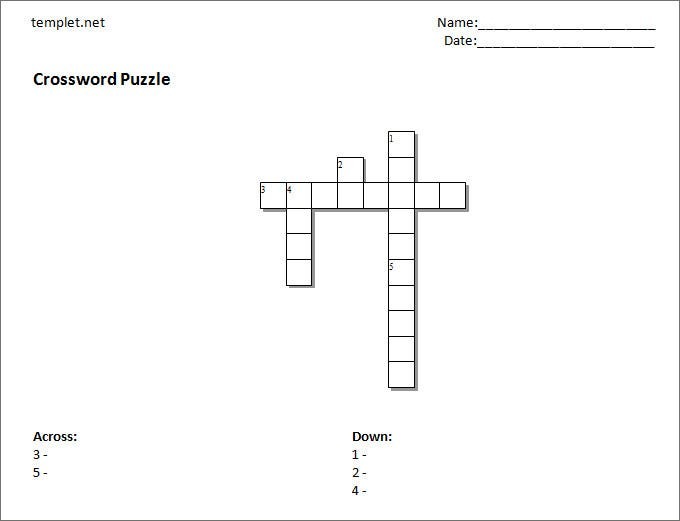 > How to create a Blank Crossword Puzzle template? Follow the steps to create your own Puzzle. 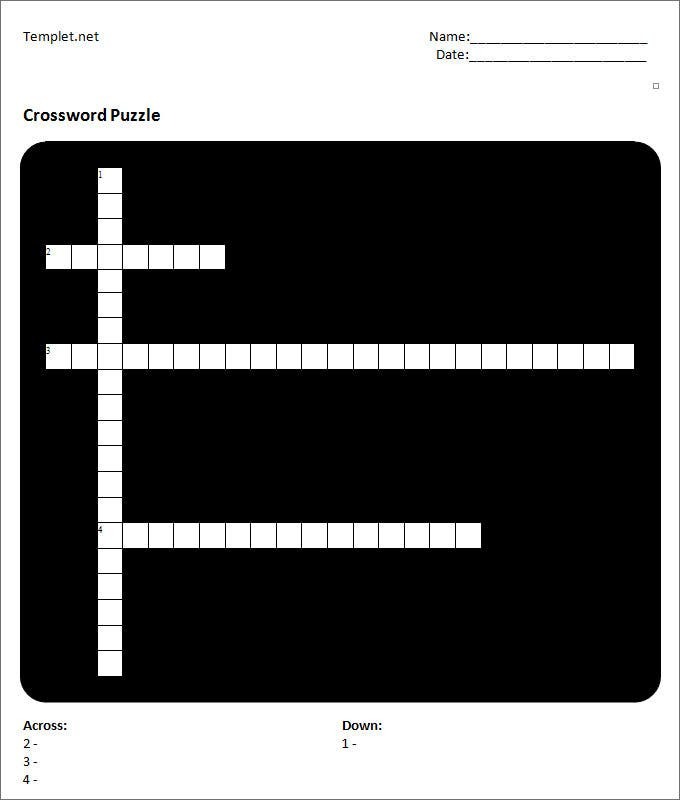 Choose a name to your puzzle. 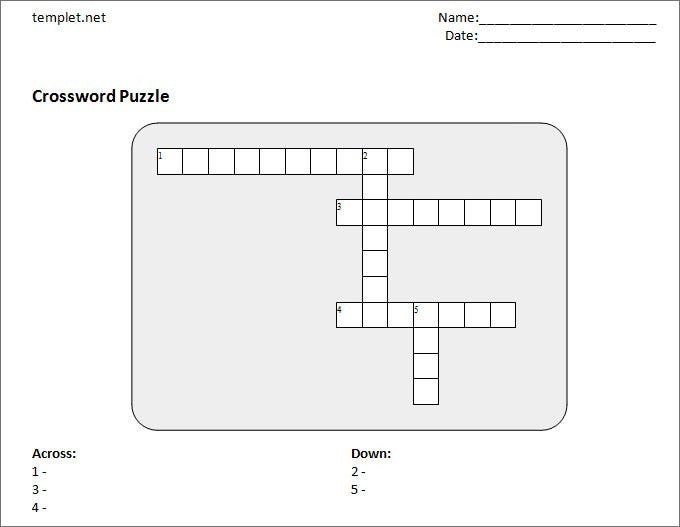 Create a word list and clue on each line of grids provided. 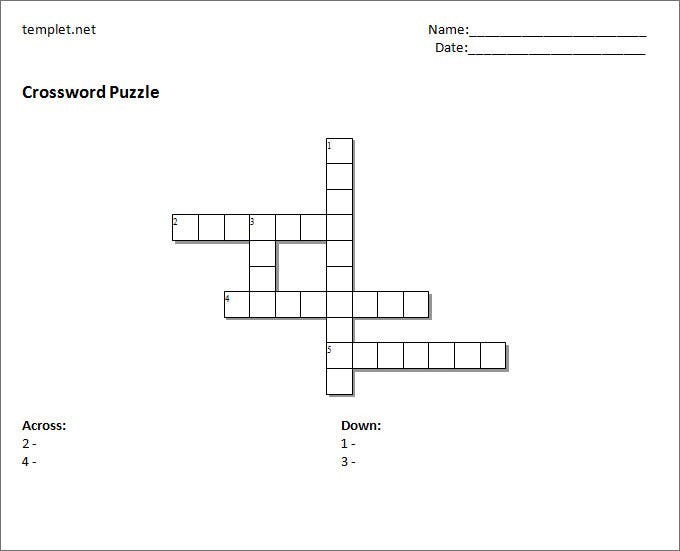 Print your crossword and the answers in the next or opposite page. It helps in keeping your brain active with age. It motivates and improves problem solving skills. Puzzles teach us to identify patterns. It helps us to get lost and find our flow again. 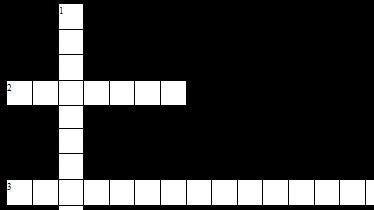 It creates a feeling of ‘AHA’ with every crack of the puzzle. 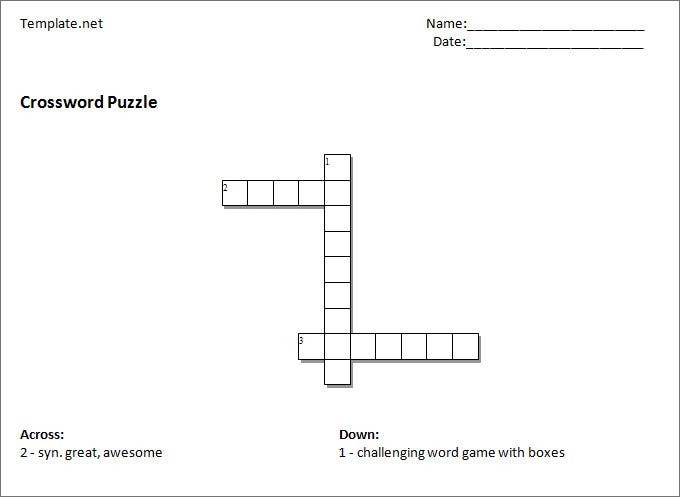 A blank template helps you achieve all these through creating your own puzzle. Our list of templates is sure to give you the ultimate guidelines to create your own piece of creativity. These templates are absolutely ready to use with very few cropping done as per your choice.